I have produced a series of 20 how-to videos detailing some of the construction techniques I've found useful in working with "Dollar Tree Foamboard" (actually Readi-Board by RL Adams Plastics). I would like to share them here. I have adapted this technique to building at least 10 different designs, some of which I have featured in videos as well. Please feel free to copy those or make up your own designs. I've personally used these methods to build planes from 500g EDF's to 2600g cargo lifters to 60" wingspan FPV canard platforms. I hope this information can be useful to other builders and I would be very eager to see your designs posted on this thread and on YouTube. Great videos. I had seen a few of these awhile back. My two sons and I are getting into this and your videos are very helpful. Thanks for posting them here. I have subscribed! wish me look keep the videos coming. 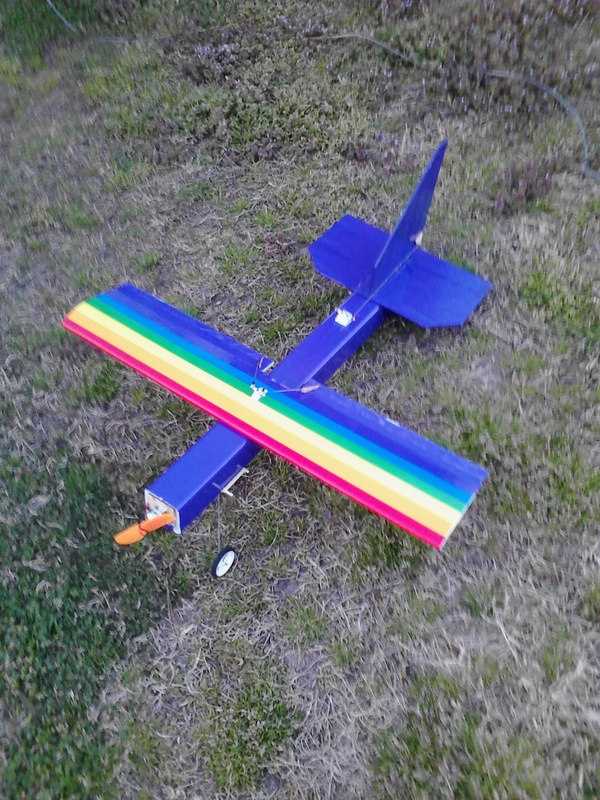 After crashing a Fun Jet and RC Powers X-31 seconds after take off, I decided a need a plane better suited to the newbie that I am. I am now building the Axon. Think it is going to be a great plane for me. Have the wing done for the Noob Tube as well. I am building the Axon with a 60" wing span - do you think I would need to put struts on the wing? The 55" seemed ok without them. I am using a 1/4 square dowel for the spar. Thanks for the videos - they are perfect for the newb builders out there.... My son's and I have learned a lot and expect to have a whole fleet of the tube style planes this year. ExAir, It would be great if you could put the series on Disk. YouTube is a long term waiting game for many I would bet. I know it is for me. i have some foam board from my local hobby store and the paper on it is quick think. I am guessing not as thin as the dollar tree foam board you use. I am having a few issue getting the paper off, you any idea of a good way to ease this? Love your videos. I so want to build some of your planes. I just don't know where to source "Dollar Tree Foamboard" (actually Readi-Board by RL Adams Plastics) down here in Australia. Have you tried wetting it a bit? You can try to wet it with water. It's a shame because the "peelability" is somewhat important to many steps in the process. I know Ed but its the only stuff I can find in the UK with the paper on the outer edge. Would love to find an alternative as your builds are very interesting. will try the water and see if this helps. I have just finished a nut ball frame using this board and it wasn't that bad. Ed, while patiently waiting for the Cruiser to come out, I tried my hand at some of your techniques. I never used packing tape as a covering so I grabbed a sheet of foam and some purple tape and made a tube. What now?.. Of course, a noob tube. With a little of you and a little of Josh I built a nice swappable noob and had a great maiden tonight. Thanks Ed, your videos made it stupid simple to follow along and I have another great looking sturdy plane to run about the field. I feel like I doubled my scratch building toolbox in a just a few days. Keep your eyes in the sky!